The group of more than 360 companies and investors made their plea in an open letter to Trump, President Obama and members of Congress. They called on Trump to "continue U.S. participation in the Paris agreement," which he has threatened to scrap, and invest in the "low carbon economy at home and abroad." The signatories also include DuPont, eBay, Nike, Unilever, Levi Strauss & Co., and Hilton. 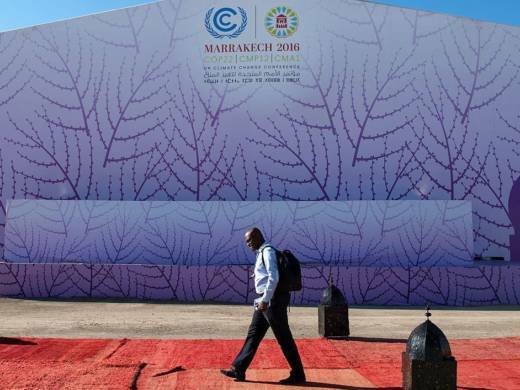 They issued the letter Wednesday during a major U.N. climate conference in Marrakech, Morocco, where representatives of nearly 200 countries were gathered to hash out the details of the Paris climate deal. As members of the U.S. business and investor community, they emphasized their "deep commitment to addressing climate change" and pledged to their part, "in our operations and beyond," to meet the goals of the agreement to reduce emissions of greenhouse gases.